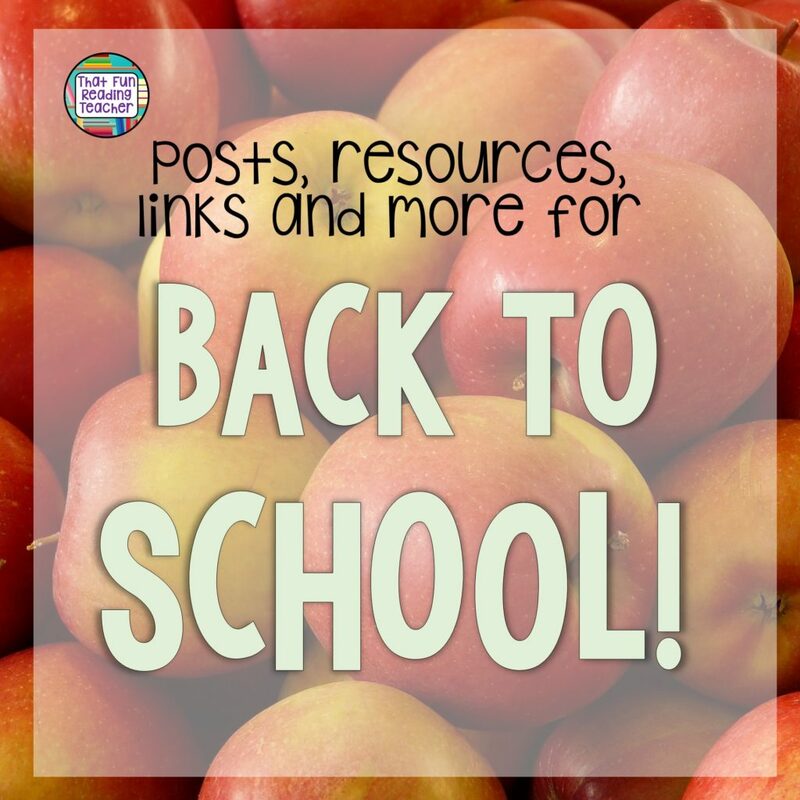 Home » GRADE LEVELS » 1st Grade » Why Back to School Anxiety is such a big deal, and what to prioritize to get through it! Why is Back to School such a big deal? For anyone with an ounce of anxiety in them, this is the what-if countdown of the year! Symptoms of ​anxiety are a common complaint by many anticipating the transition back to school. ​It is difficult to break the cycle of muscle tension​, breathing difficulties, insomnia and ‘what-if’​ing. I have to do this regularly, so consider me an insider. I have also spent twenty-two years teaching little people, and am grateful for having taught with amazing educators. One could say I’m uniquely qualified. Back to School is a season of great anticipation, and many unknowns. As much as we prepare our programs, our teaching space, accommodations for student needs – there is so much we can not control! I can not remember the last time it did not rain on the first day of school! A friend and colleague of mine was hospitalized a few years ago, on the first day of school. Her kindergarten students met a substitute teacher that day. All too familiar are the criers and busing headaches in the kindergarten and primary hall that the first week brings. Thank goodness we can bring our optimism, hope, energy, health, gratitude, gifts and laughter, too. Set flexible, realistic goals for the first day and week back based on establishing trust, expectations and routines. Anxiety melts away when adults and children know what to expect, who they can count on and feel safe. 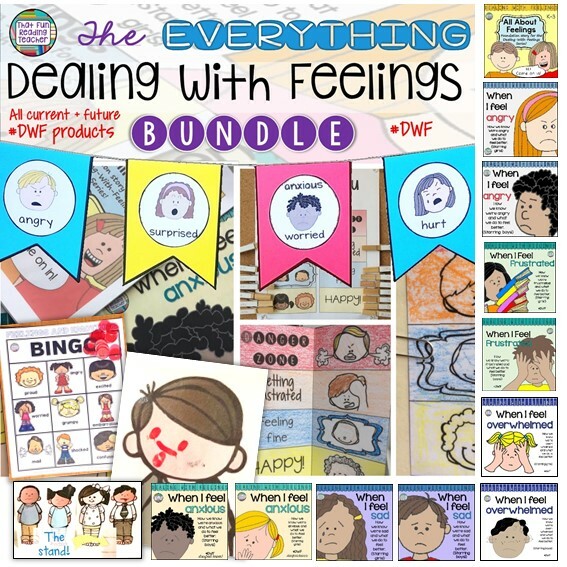 Kids needing extra reassurance will benefit from social scripts or stories that model relatable characters managing anxiety, like these. Prepare a welcome letter to send home on the first day of school (or email ahead of time, if possible!) introducing yourself, and giving parents and caregivers an idea of what to expect this year, particularly in the coming month. Ask for written confirmation of the students’ transportation arrangements, and specify how you would like changes to be communicated. It is also a good idea to include how to reach you. Consider if sending your own ‘Getting to know your child’ form in addition to your letter and the school’s annual update form, and possible other items going home, is beneficial. I like to do a fun, This is Super Special Me! 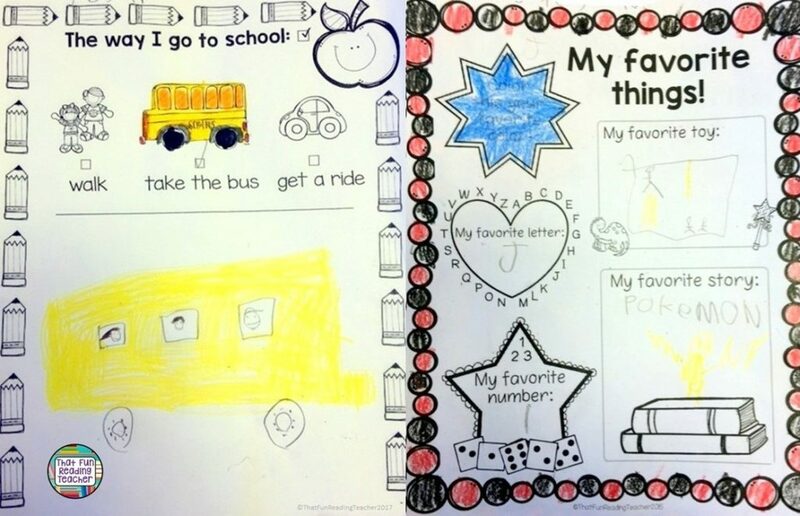 (All About Me) booklet throughout the first week.​ Click here for free sample pages of this resource! These are two of the pages in This is Super, Special Me! While I often put these in a booklet for the first week, I often skip ahead to ‘The way I go to school’ and fit it in fairly early on the first day. It’s good for cross-checking dismissal information with the student’s belief about how they are getting home and sorting out any discrepancies! If you’re busy getting dismissal details from parents, consider putting a playlist of Back to School stories on for the kids. Click here for some of my favorites! What are you planning to read to your class on the first day of school? 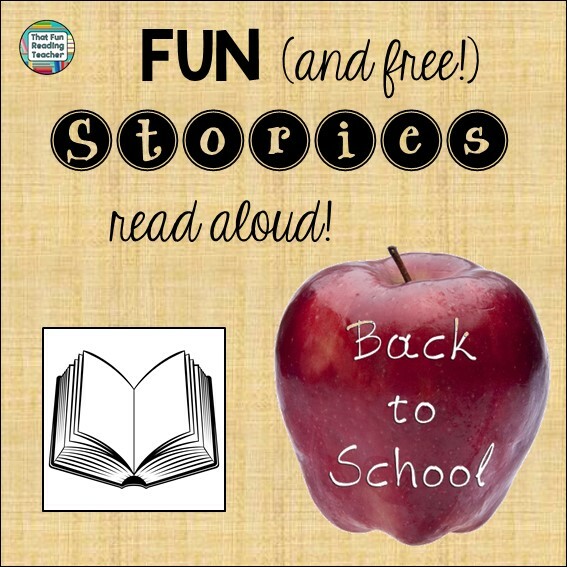 Here are some tried and true back to school stories I love.